I recently had a requirement to convert a VB6 project to VB 2008. Although this initially caused me a lot of problems, I was fortunate to discover an outstanding product for converting VB6 projects to VB.NET which helped me get over some difficult hurdles. Whenever I see a question along the lines of "How can I include an image alongside each item in a list of items or use more than one font, or varying background colors?" I usually find myself muttering "WPF!". This is a lot more sociable and positive than many of the things I mutter as I sit here each day, but finally I've realised that I need to do something about it. The result is this article, which works through the steps needed to harness the rich UI features of WPF to the more familiar paradigm of Windows Forms. The example used will show you how easy it can be to use a WPF control in a Windows Forms application and you can use this article as the stepping stone to creating your own. The ListBox layout shown below will be created in WPF and ported over to be used in a Windows Forms application. » Rich Internet Applications: Has Microsoft Finally Seen the (Silver) Light? Roger McCook offers you an overview of the new technology of Ajax. Everyone tries to write error free applications, but we all know end users are smarter than us, finding ways to break our well protected applications. Then we are given the answer "I don't know" when we ask the obvious question "What were you doing? ", or "I can't find it" to our inquiry "Did you write down the error message?" This article guides you through the .Net Framework features at your disposal to handle applications' errors, also known as Exceptions. Once you understand the concepts, the code supplied could be integrated into your existing or new applications, providing comprehensive Exceptions support that will benefit your endusers and support team. Web application development is one of the key business process areas in software industry. A web application has a long life only if the user visits the application with interest. To keep the user interest in your web site, two factors are important. One is easy navigation and the other is fast data retrieval. The most dramatic way to improve the performance of a database driven Web application is through caching. This article delves into the caching mechanism, available with ASP.NET 2.0. The author takes a walk through ASP.NET 1.1 caching practices as well as a comparison with ASP.NET 2.0 changes. 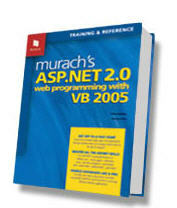 A review of Murach's ASP.NET 2.0 Web Programming With C# tutorial and reference book, written by Scott Waletzko (Skystone Software). As a newcomer to the wonderful world of .NET (although not to programming) last year I started, as most of us do, by taking a course. It was whilst working on one of the exercises that I ran across a ‘feature’ of the .NET Framework which has caused me no end of fun and enjoyment! I had filled an array of Char, Array1()with data and I wanted to sort it. However, I also wanted to keep a copy of the unsorted data to revert to. This apparently simple requirement led me deep into the field of shallow copies, deep copies, copying and cloning. This article reflects the result of my research and I hope it will be of help to you if you have a similar requirement at some time in the future. For most of us, enumerations provide a means of selecting one of many options. What some of us don't know is that they also provide a means for us to specify more than one option at a time in one variable or argument. Multithreading, a very powerful technique, is essential for modern software development.Software users expect to work with a very responsive program that they don’t have to wait on, which is a very reasonable demand with the processor speeds that are currently available.Enter multithreading.Multithreading is the concept of having several different paths of code running at the same time. When you introduce multithreading in your applications, you immediately make programming more complicated and add design time.You must know exactly what your application and all its threads are doing at all times.You have to account for deadlocks, race conditions and corrupting variable values.In this article we will examine the different methods in Visual Basic.Net to accomplish thread synchronization.We will learn what deadlocks and race conditions are and how to avoid these common problems with multithreading. Back in Part 2 of this series we created a basic Bar Chart. 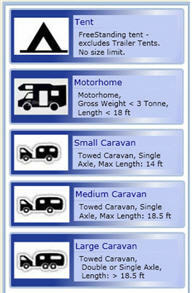 It did the job, but - let’s face it - it isn’t likely to win any prizes in the “GUI of the Year “ competition. 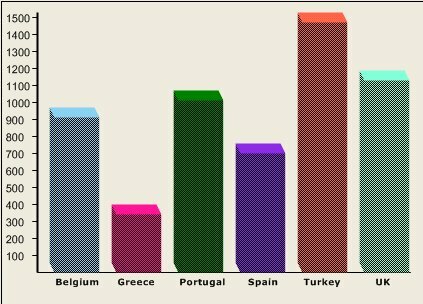 So, in this article we will use the same basic approach, but will build a better 3D bar chart to give the display more depth, color and hopefully, as a result, more impact. This document is not intended as a WMI tutorial, and as such does not cover WMI itself. This document is about using WMI in VB.NET and is intended as a rough and practical (but by no means complete!) guideline to get you up and running with WMI as a VB.NET programmer.